Product Description: Their brand of justice is genius. How would the legendary Sherlock Holmes cope if he lost his one-of-a-kind deductive skills? 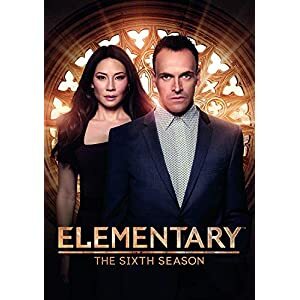 In Elementary: The Sixth Season, the famed detective Sherlock (Jonny Lee Miller) faces this devastating possibility when he is diagnosed with Post-Concussion Syndrome, a disorder that causes physical and cognitive symptoms including memory loss. With his career, calling and sobriety all at stake, he must rely even more on his steadfast partner Dr. Joan Watson (Lucy Liu). Together, they continue in their mission to crack the NYPD s most baffling crimes and puzzling cases. Your mind will be blown by all 21 thrilling episodes in this 6-disc collection as Sherlock fights to overcome a mystery even he may not be able to solve.